If you sent your payment directly to Unity Network bank accounts, you will need to upload your deposit slip so we can verify your payment. Please follow the instruction below on how to upload your deposit slip. VERY IMPORTANT: Change the “InsertReferrerUserID” with the actual user ID of the sponsor. STEP 2: Fill up the form with the NEW MEMBER DETAILS. STEP 3: Choose the PAYMENT OPTION. 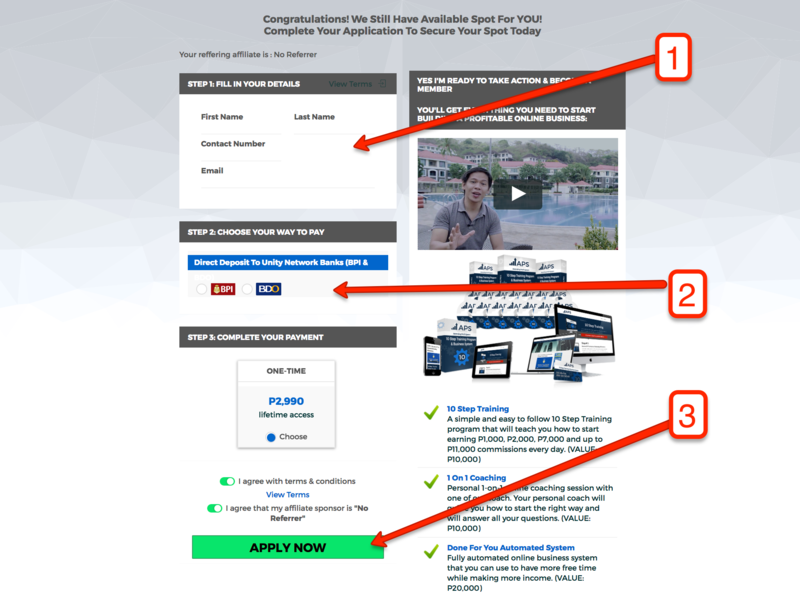 STEP 4: Click the APPLY NOW button. 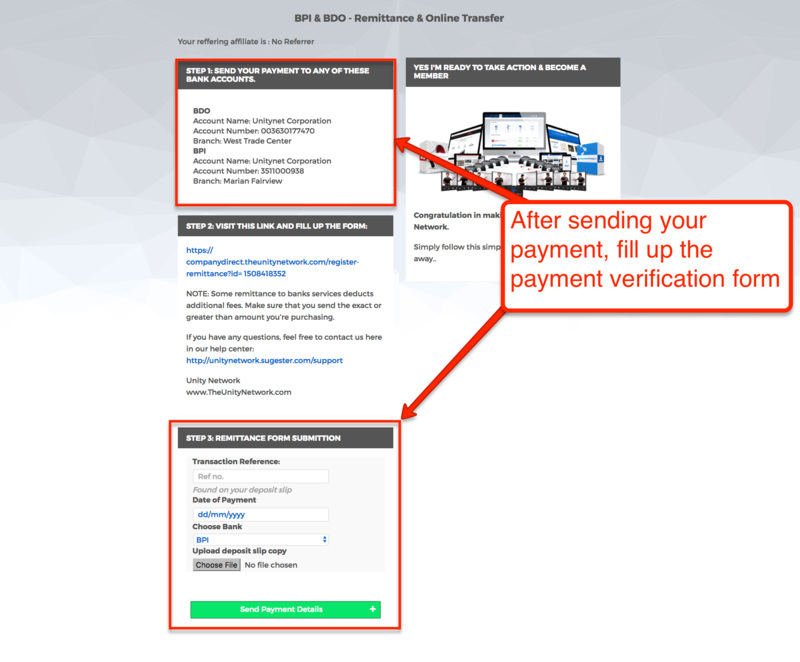 STEP 5: After sending the payment, fill up the PAYMENT VERIFICATION FORM. STEP 6: Click the SEND PAYMENT DETAILS button. We will manually verify your payment within 24 – 48 hours.